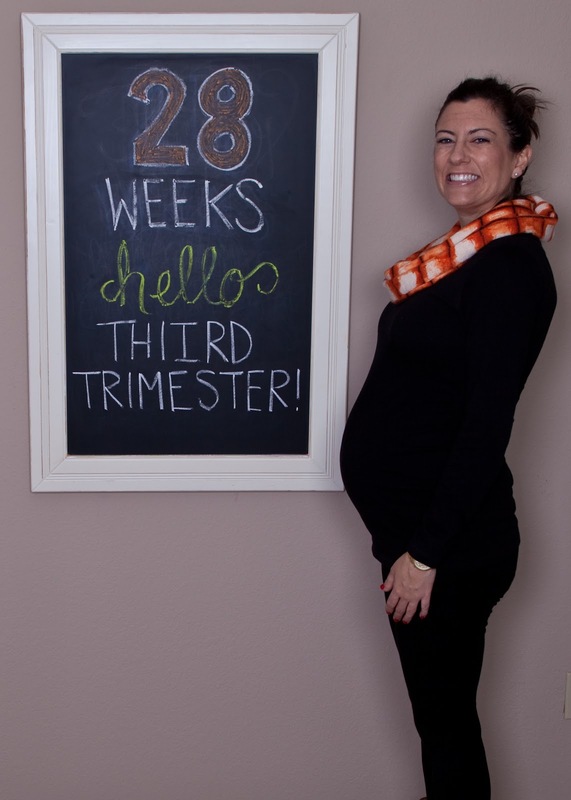 Hello, third trimester! I feel like my belly is growing by the second! Like some sort of magic clock, this week my body turned on "uncomfortable" mode. 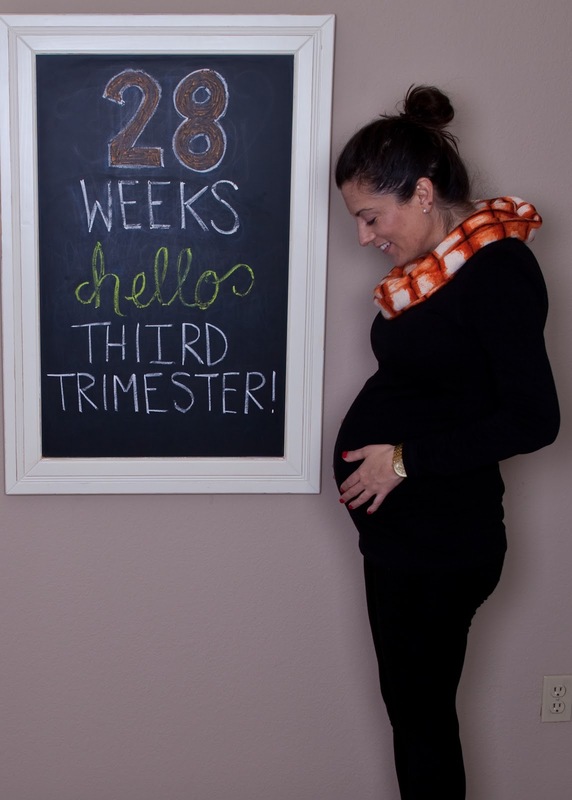 I always thought it was odd that third trimester symptoms included being uncomfortable while sitting. I mean, what could be more comfortable than sitting? I get it now: it's back pain. Ouch. It comes on if I sit too long and also just throughout the day. I'm also getting late morning bouts of nausea again, boo! I'd like to remind my body that that's a first trimester symptom and I'll pass, thank you very much. We had the pleasure of flying first class both to and from California for our family Christmas (thank you business travel reward points!). On the way back we had the sweetest flight attendant who wanted to know all about baby. We made note that this was our last flight as a family of 2.5! I'm counting on our first flight as a family of three to be a thousand times more difficult! Such a cute bump---just found your blog. We must be at almost the same stage, I hit 28 weeks this week! It's FLYING by!!!!! Can't wait to read more, I'm your newest follower! been quietly following along - you look great!! Look at your cute bump!!! You look great. I can not believe you are already in your 3rd trimester!